After setting the date and the place, getting the word out about your big day will be the next priority. You’ll want to pick your stationery and design its look early on, as you will have many items to give out that will all be on stationery. With so many things to organize, knowing you have everything together from save the date to thank you cards is a comfort. A matching suite is the way to go, whether your taste is traditional or modern. 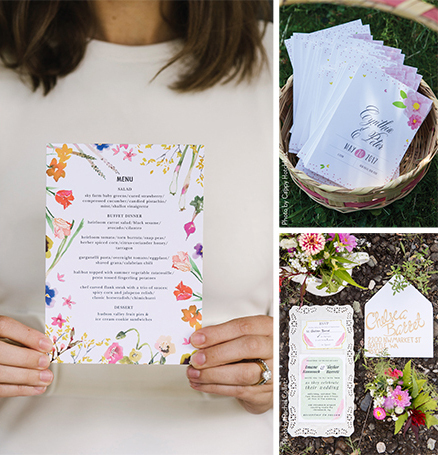 Save the date cards, invitations, reception cards, directions to your venue, RSVP cards, wedding programs, place cards, and thank you cards that share design elements and complement each other lend a sense of smooth continuity and build the excitement of your special day. Traditional wedding invites are printed in black or grey ink on heavy white or ecru cotton or linen stock, with an inner envelope and square of tissue to protect the ink. If you want a classic feel, that’s the way to go. Otherwise, you have endless choices. White lettering on deep jewel tones. 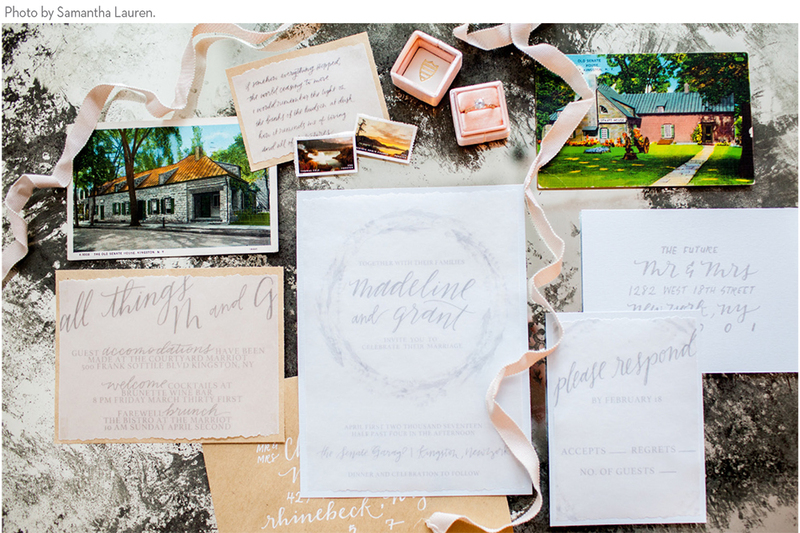 A delicate (or bold) watercolor design that complements your entwined initials, or a watercolor wash behind the printing. Recycled paper. A touch of foil in gold, silver, or copper. Geometrics! Choose a style that suits your plans—whether it’s full-on classic elegance, rustic eco-chic, satin-sleek, or straight-up rock-n-roll—using paper that feels good to the touch. You’ll want to pick your stationery and design its look early on, as you will have many items to give out that will all be on stationery. • Consider having a calligrapher write your names and/or design you a monogram or logo. • Choose an easy-to-read font for important details like directions. • Menu options on your RSVP cards, especially if you’re having a vegetarian or dairy-free choice, are a great idea. If you’re hosting a weekend destination wedding, this is also the way to get an idea of, say, how many want to go horseback riding or take the dinner cruise. • Be specific about who’s invited. List names on the inner envelope. If you’re inviting someone to bring a plus-one, be clear about that. • The reception card’s a great place to put that creative little design element that didn’t quite fit on the invitation. 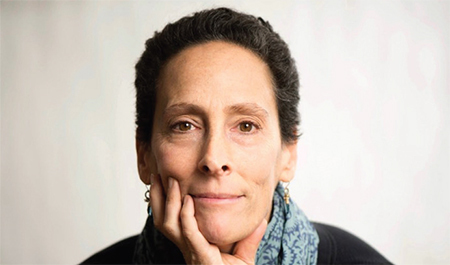 Joanne Leffeld provides couples and individuals with tools to become financially grounded and empowered. Working in a judgement-free setting, clients explore deeply held beliefs and self-sabotaging behaviors undermining their relationship with money. Through experiential exercises and transformative discussions, couples develop shared goals to achieve a life of financial security and abundance. Celebrate with laughter, and delight your guests with a custom piñata at your wedding, shower, or engagement party! 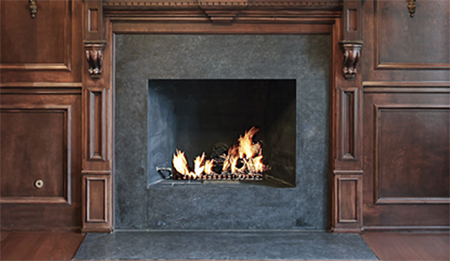 Every luxurious detail is crafted by hand with top-quality recycled decorative papers right here in the Hudson Valley. 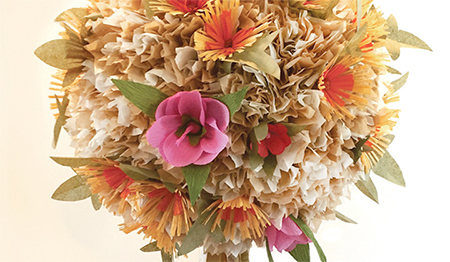 Our eco-friendly papier mâché blend includes sugar, lemons... and love. Enjoy! 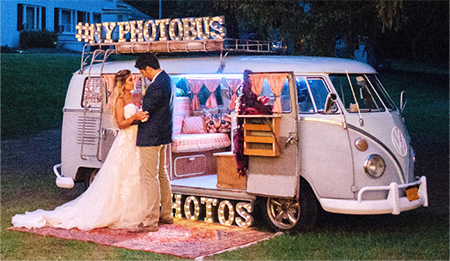 More than a mobile photo booth built inside a Classic VW, the NYPhotoBus will make your wedding unforgettable. It’s a gorgeous conversation piece and complete micro venue where people can get in, have fun, and connect, all while getting photos printed on the spot that can be shared via social media. We provide lights, music, costumes, props, and most importantly, a sensibility of how to create a good time for your guests. Indoor and outdoor booths available. We are a family-owned and operated facility, conveniently located 90 miles north of New York City in scenic Ulster County in the Hudson Valley. 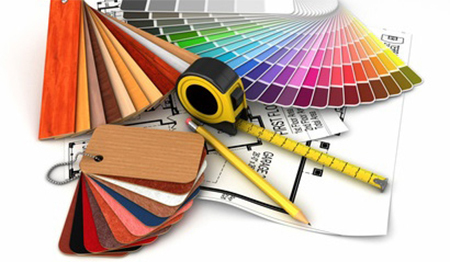 We have two family businesses: Bare Furniture and A&G Custom Made Furniture. 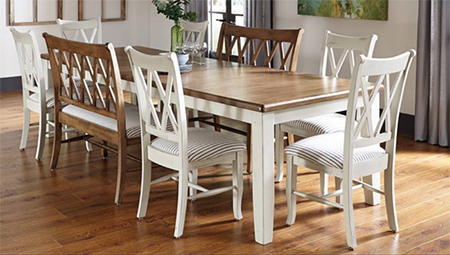 Bare Furniture offers solid wood, unfinished furniture from living and dining to home office and entertainment. Visit our showroom in Accord today!